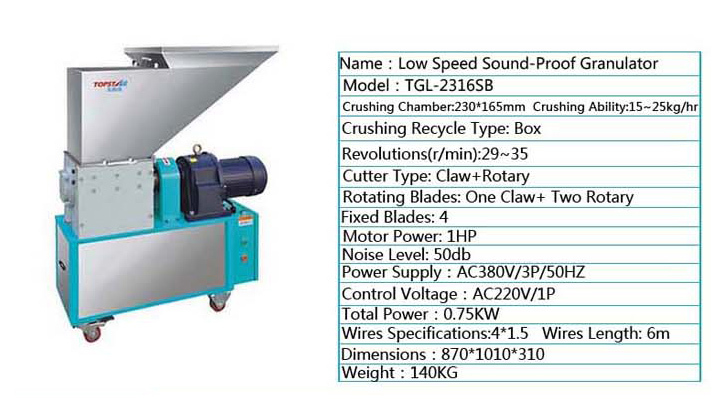 As Low Speed Sound-Proof Granulators are non-mesh slow speed plastic recycling units with 25~30 rpm which specially designed with teeth cutters for crushing various defective products made of rigid plastics and brittle plastics such as PC, nylon, ABS and so on. All these models are characterized with low speed & high torque, low noise, less powder pollution, easy operation, granulating in even, no-overheating in operation and long service life. Non – mesh screen design ,well-proportioned granules and less powderpollution. Optimized structure of machine with small footprint which is especially suitable for the limited space of workshop to use. Both rotor blades and fixed blades are made of SKD-11(option) with long service life. 30 sec instant recycling system to keep regrind material free from color changing by oxidation or damping . Low speed at 25~30 rpm, power saving , less noise. 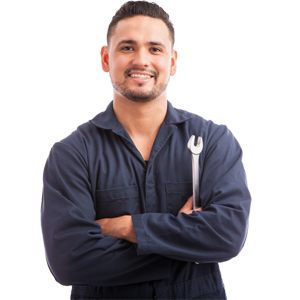 This unit is driven by shaft gear-motor, no need oil. This series is suitable for granulating rigid&bristle resins-PC,PBT,ABS, Nylon etc.